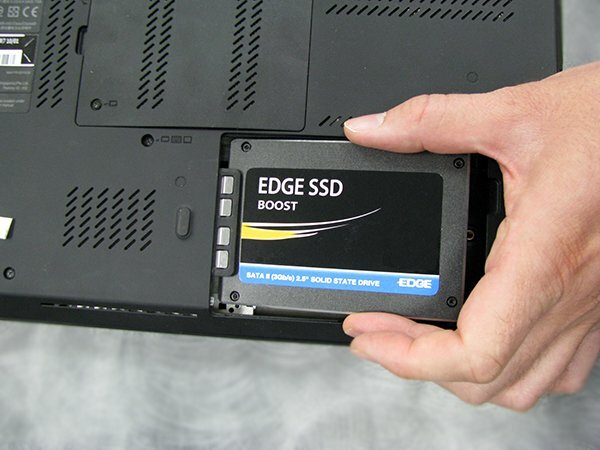 EDGE Boost SSDs are TAA compliant, built with premium SandForce controllers, and backed by a superior five-year warranty. 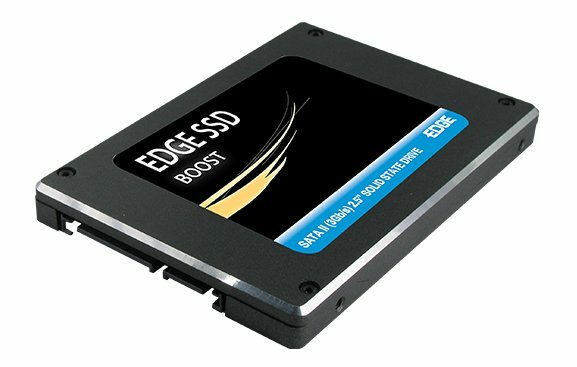 EDGE™ Boost Solid State Drives (SSDs) are designed to be a direct replacement for traditional spinning disk hard drives. The result is a faster, lighter, more durable, and more reliable solution. 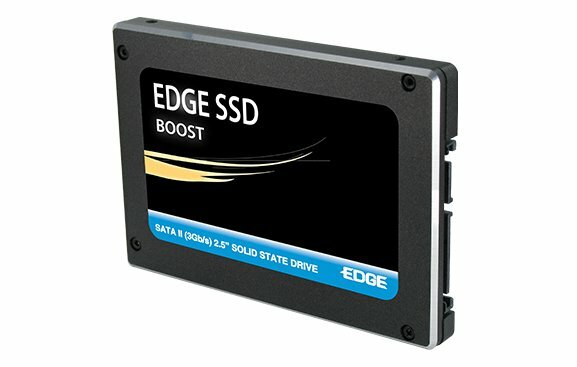 Boost SSDs are PC, Mac, and Linux compatible. 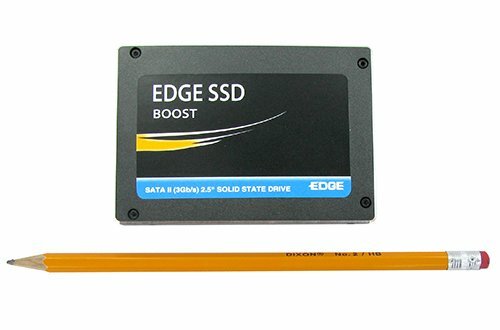 EDGE offers notebook, desktop, and server upgrade kits designed to make the transition to SSDs a smooth and easy experience. The Boost SSD achieves ultra fast read and write speeds. In comparison to hard drives, SSDs can decrease system boot times by 5x. * Fast read/write speeds and a lofty IOPS rating provide fantastic performance gains in common tasks such as file transfers and loading software applications. Security is a critical feature of Boost Pro SSDs, featuring AES hardware encryption that secures 100% of data when enabled**. The feature-rich SandForce controller comes standard with robust tools such as TRIM, S.M.A.R.T., Garbage Collection, wear leveling, and ECC to promote stability and reliability. SandForce-exclusive functions - Durawrite and RAISE - further enhance data efficiency and increase the lifespan of the SSD.